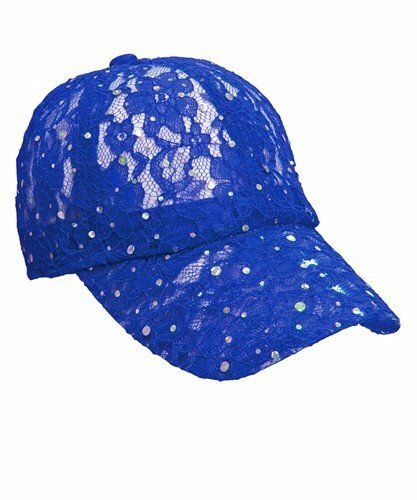 Lacey blue glitter ball cap in light lacey fabric. Classy cap to dress up any occasion. Velcro closure for adjustable fit.